You are invited to join me for a FREE LIVE WEBINAR! 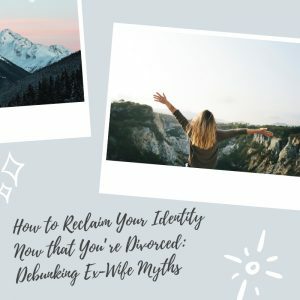 Your life and your identity did not end when you divorced, because you are not defined by your marital status or another person. Divorce is life-changing, not life-ending, girls. PICK THE TIME THAT WORKS BEST FOR YOU! Click here to nab your TODAY spot. Click here to join in on Wednesday. – to who you really are to your core. And I’ll share one of my best tips to make these mindshifts stick. By the end of our time together, you will know who you are, and that it has nothing to do with your marital status or another person. Click here to nab your TODAY spot. Click here to join in on Wednesday. Your heart is at stake, girls. You can continue to go through your life, day by day, thinking these things about yourself – even deep down – and move right along. But every day that you walk through life carrying failure, feeling you have nothing to offer anymore, and believing that you aren’t truly loved (even if you say that you believe you are, or you teach your kids that they are), you are not living the free, sweet, abundant life God wants for you. Yes, even in your divorce. Yes, even in your pain. Yes, even as you heal. Getting the Truth squared away in your heart and mind about who you are NOW – in your divorce, in your pain, in your healing – is foundational to how you live out each day but also how you will end up feeling in one year, two years, ten years from now. 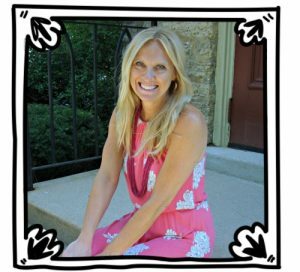 I was in a difficult marriage for almost nineteen years, I did everything I could to figure out the abuse and addiction issues, I did everything my church leadership told me to do, I legally separated, my then-husband counter-filed with divorce, I went through a long and painful divorce, I was a single mom for four years, and I’ve made it to the other side. And I have walked hundreds and hundreds of women – just like you – through the process of rediscovering God and themselves in their difficult marriages and through their divorces. My heart is for you to become who God wants you to become, to know who He says you are. Join me to reclaim your identity. P.S. If you feel like you might be slipping into bitterland, crazytown or needyworld, it’s okay, but join me here for a peptalk.